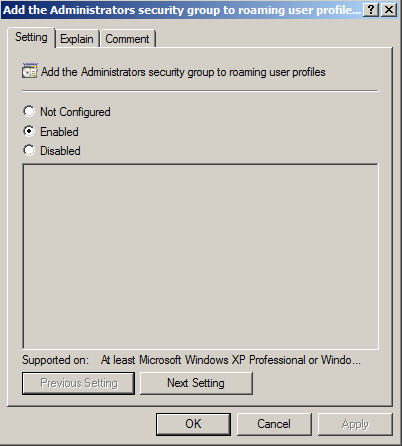 Read this tutorial to configure roaming profiles for user accounts in Windows Server 2008 in an Active Directory environment. Roaming profiles have the advantage of users have their personal settings and files available on all computers they login to. But the only problem is increased network activity during logon and logoff. Roaming profiles work by copying the user’s profile to the client computer on which the user logs on and when the user logs off the files are copied back to the server. Folder permissions and policies have to be configured properly to ensure the privacy of user files are maintained, while the administrator is able to have access to the user profiles. 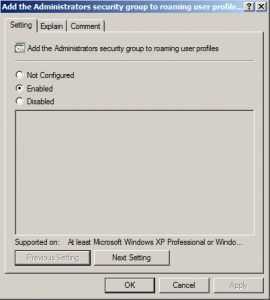 Enable Add the Administrators security group to roaming user profiles. Additionally you can enable Delete cached copies of roaming profiles which deletes the user profile’s copy on client system when the user logs off. Open any partition on the hard disk and create a folder named Profiles (you can give any name for the folder). Right Click the folder, go to the sharing option, click advanced sharing, check “share this folder” option, enter the share name as Profiles$ (just add a dollar symbol to the end of any folder name you give). Click permissions and grant Full Control permissions for “Everyone”. This will create a the user’s profile copy inside the profile folder the first time the user logs in. 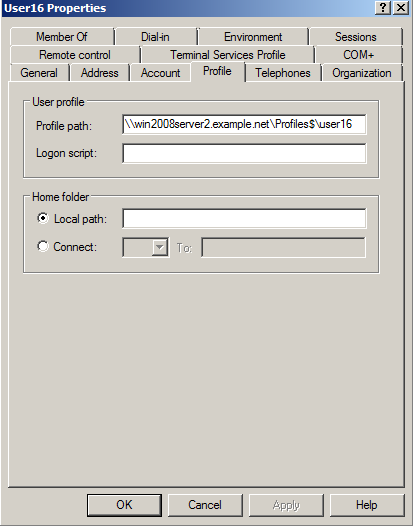 Just tried the tutorial on “How to setup roaming user profiles in Windows Server 2008”. I was successful in achieving the desired outcome. Very empress. Hi I been tried to between WIndows Server 2008 R2 and Windows 8. But I don´t have sucess. I reed on the microsoft web that´s a incompatibility. So my question is, the tutorial is gone work?